Regal, but sweet. Elegant but simple.. It’s not often you find a bouquet as well balanced as this one. Available in two sizes to fit your Valentine need. 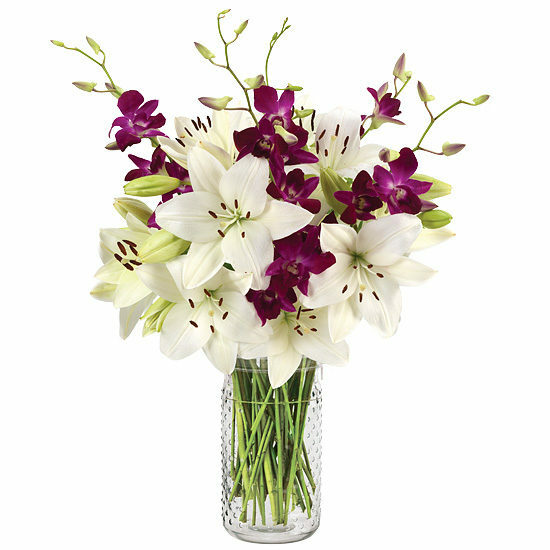 It pairs purple Sabin dendrobium orchids and white Asiatic lilies in stunning contrast. All set in an exquisite ceramic vase with ridged texture and pedestal base. Trim ½” from the bottom of each stem by making a diagonal cut. 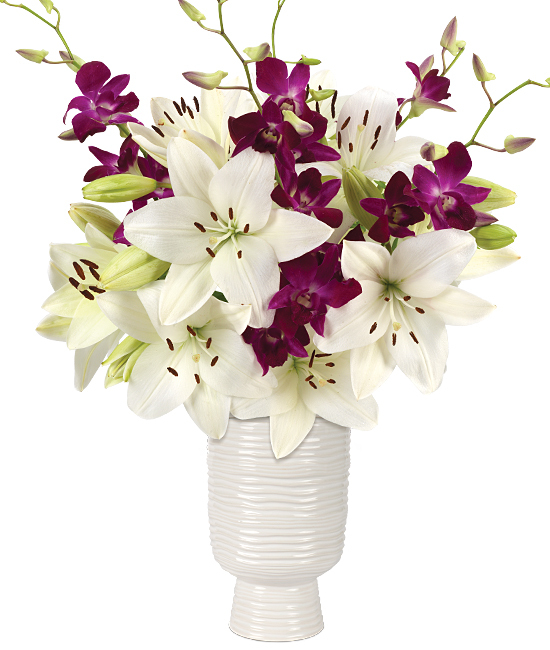 Arrange lilies and orchids allowing them to fan out. As your lilies open, you may gently pull off the pollen anthers to avoid pollen dust. To remove any traces of pollen from clothing or furniture, lift it off with sticky tape. Clothing or linens may also be laid out in direct sunlight before washing. Do not allow any blooms to be underwater. If you must, simply remove the blossom from the stem. 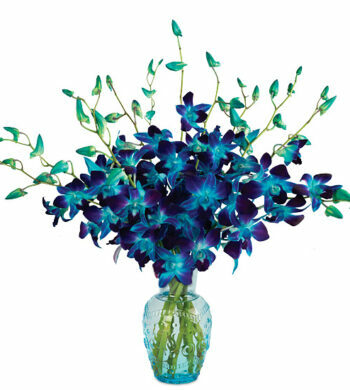 Always add fresh water daily and trim away spent blossoms as your bouquet ages and rearrange.